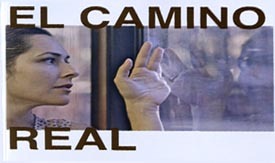 EL CAMINO REAL is a short film (directed by David McClendon, featuring Dahlia Waingort) that explores the core themes of the feature film EL CAMINO, focussing on Elena’s journey. Synopsis: Elena (Dahlia Waingort) makes the fateful decision to leave her husband and child, and travel to Mexico to be with her dying father. Being undocumented, she is forced to make her way back across the border to the U.S. as best she can…unaware that out-of-control wildfires block her path home. Inspired by actual events, EL CAMINO explores the tragic, and often fatal consequences of being an undocumented American. PLOT SUMMARY: Elena and Miguel Hernandez, along with their children, Isabella and Ricky, are doing their best to live the American Dream, when Elena suddenly receives news from her Baja village that her father, Enrique, is extremely ill and close to death. Although she has not returned since leaving over a dozen years ago, it is decided that she and her son, Ricky, will travel to Mexico to see their family and be with her father one last time. In his final hours, Elena’s painter-philosopher-opera aficionado father, teaches his grandson about his rich Mexican heritage. After Enrique’s death, Elena and Ricky, along with Elena’s sister, Soledad, begin their journey home to the United States, while Miguel and their young daughter await their return. As an American citizen, Ricky easily crosses the Border. However, being undocumented, Elena and Soledad are forced to hire a human smuggler for the dangerous journey home – unaware that both man and nature are fatally out of control. DIRECTOR’S STATEMENT: In 2007, there was a series of wildfires along the Border of California and Mexico. After the fires subsided, the bodies of eleven people were found in the countryside east of San Diego. Seven of those were undocumented immigrants. One of those killed was a wife and mother, who with her husband and children had been living as Americans in San Diego for years. However, being undocumented, like so many others, they were forced to live a dual existence. On that fateful day, while fires burned out of control, and without documentation she was forced to cross the United States/Mexican Border illegally. It is their story that inspired EL CAMINO (THE ROAD), which represents the physical, social and emotional paths these undocumented Americans are forced to take. 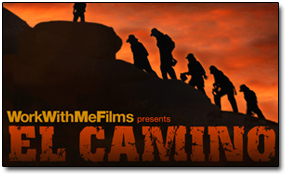 EL CAMINO is only one story of this subculture of our society. Not just the workers that we find in the parking lots of big box stores, or who work in the fields, or clean our homes. These are millions of undocumented Americans who are our neighbors, whom we know through our children and with whom we work. They live and raise their children as Americans, are involved in our schools, churches and communities, they pay taxes and are our friends. The only difference is – they are in the United States without legal documentation and with no clear path to validation. It is their story we wish to tell while helping our fellow citizens to become aware of the complexities, challenges and injustices placed upon this segment of our society. Following the death of her former Tribal Chief father, Joy McIntosh returns to her Oklahoma home after being banished from both her family and Tribe. Her transgression was, as an investigative reporter, exposing corruption from within the community and Tribal leadership, which lead to her father and others being charged with Federal crimes. 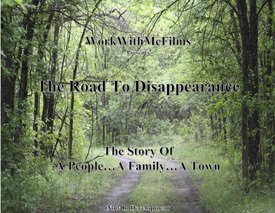 Her book that followed, “The Road To Disappearance”, became an award winning best seller and is being made into a feature film. Now that her father has passed, her hope is to come home so that she can create a new life with her family and this place that means so much to her. She, along with a new generation of local and Tribal leaders hope to do what they can to help both the Tribe and the town find a way to heal and end their long and complicated decline. It is the story of a people, a family, a town and their struggle for survival in today’s world.